Three years ago Elisabeth Anderson combined her life long love of flowers, gardens and design to train as a florist and set up Amamini Flowers. 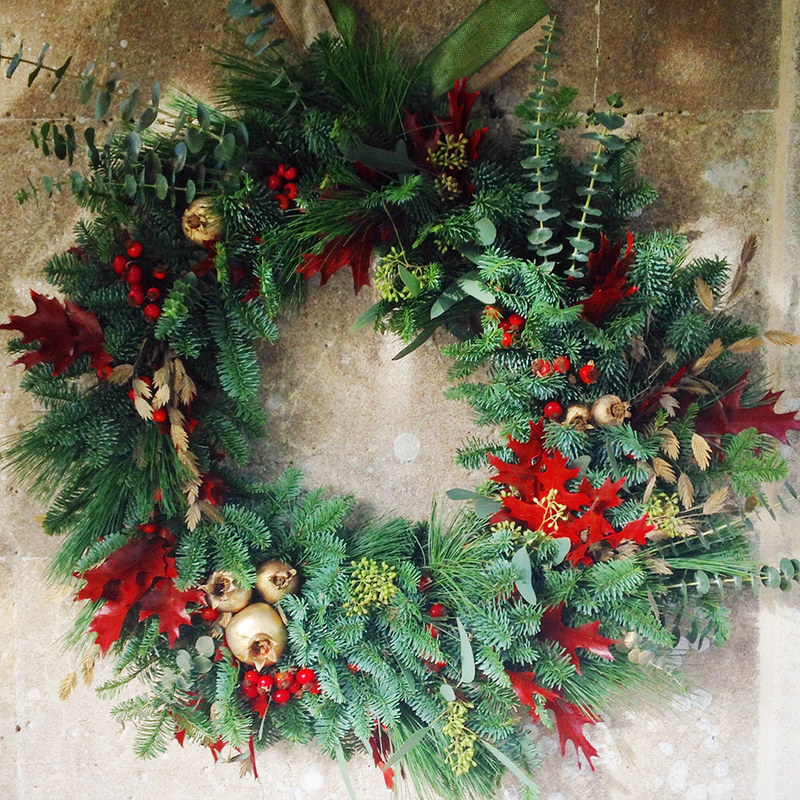 The run up to Christmas is now one of her busiest times, creating beautiful wreaths and decorations for the celebrations as well as giving work shops for those who want to create their own displays. 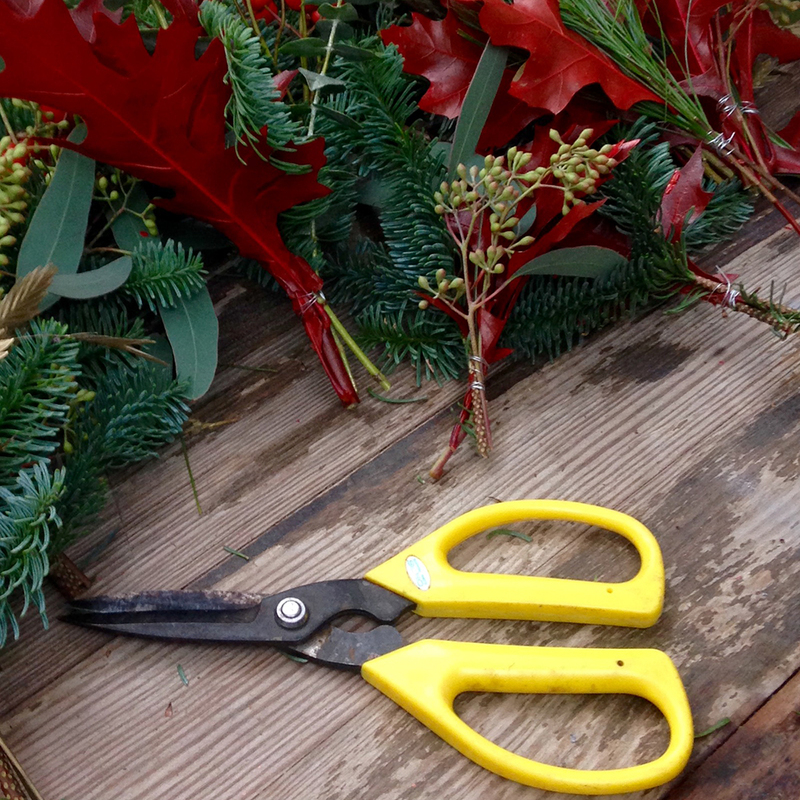 She has taken time out though to share with us how to make a Christmas wreath. 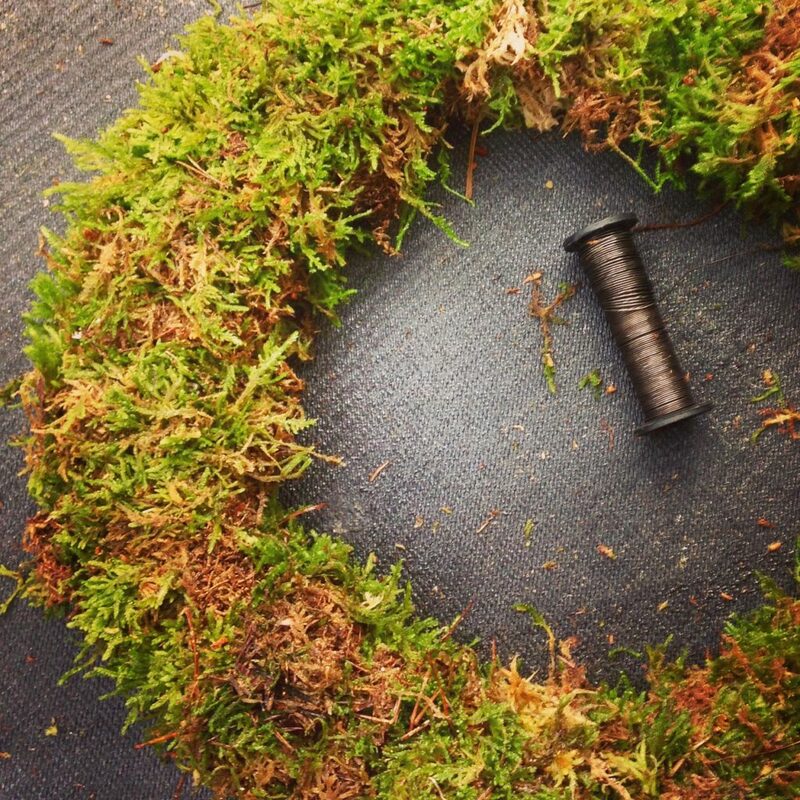 1) The first step is to either make a wire ring using chicken wire or buy one form a florist supplier. 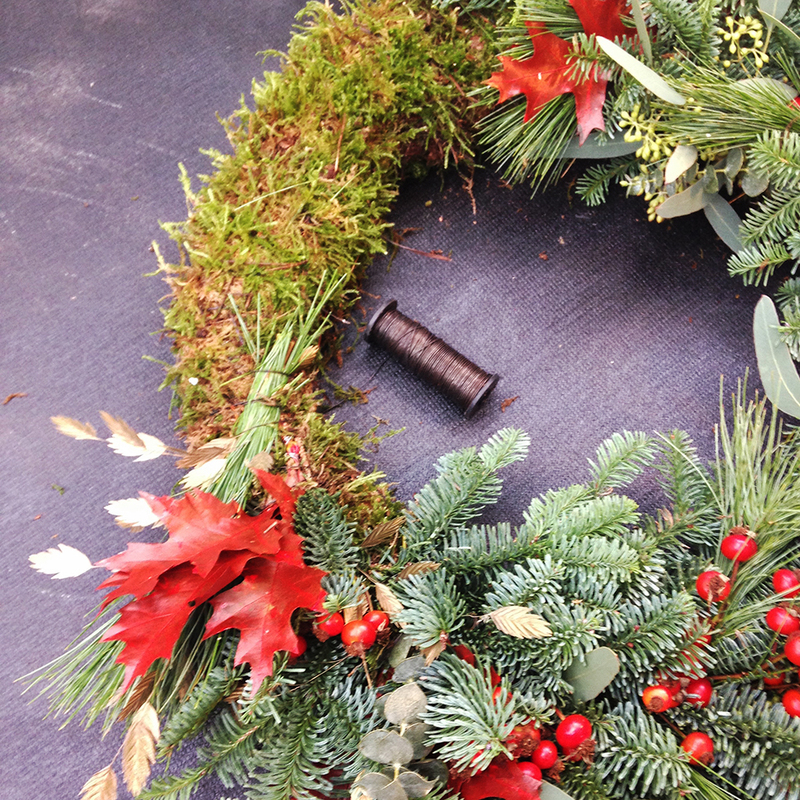 Size is a personal matter, but Elisabeth says, ‘I do think having the door all around the wreath looks better proportionally.’ The wire ring then has to be covered with moss, binding the moss with wire onto the frame. 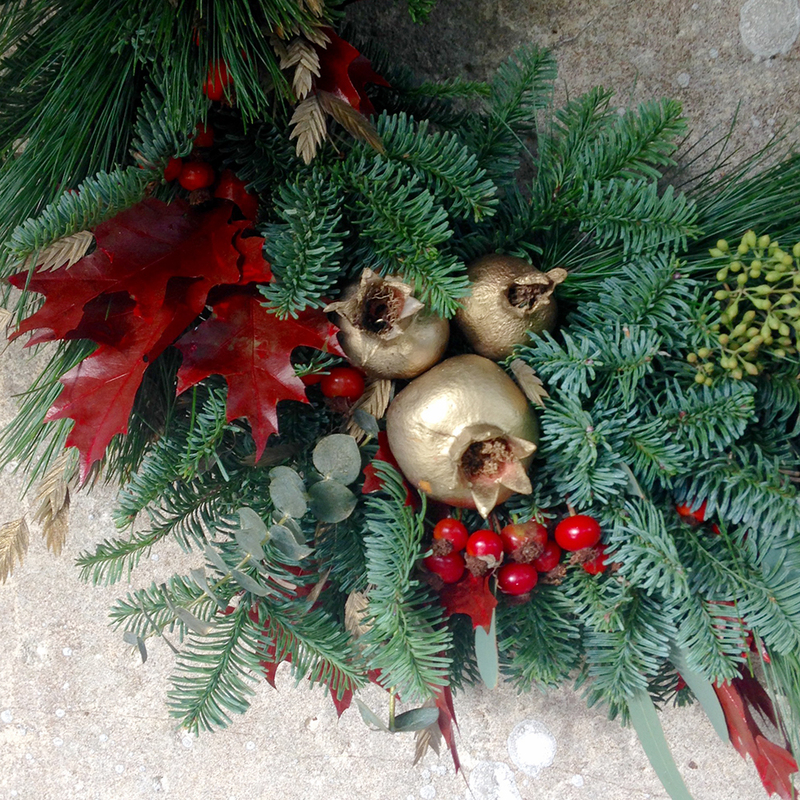 Contact Elisabeth Anderson at Amamini Flowers.